In this special edition set are three signed Bill Owen’s books along with a special edition signed print, all in a hard slipcase. The set is part of an edition of 40. 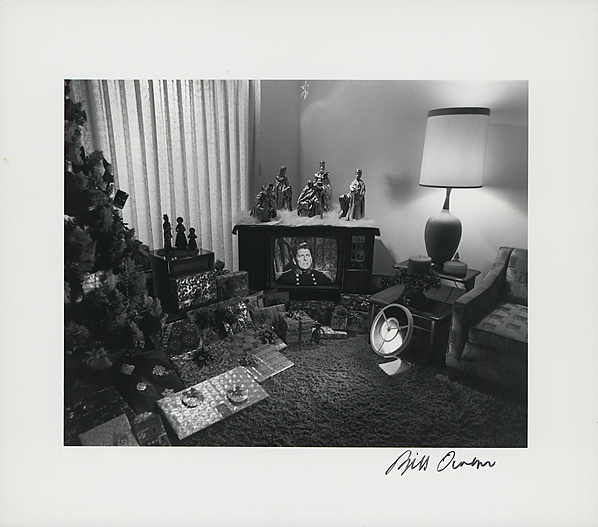 The photograph (printed in the early 80’s) is printed on a piece of 8 x 9 inch Agfa fiber glossy paper and is 5 1/2 x 6 7/8 inches. 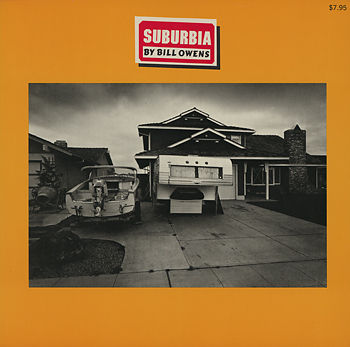 Suburbia, 1973 – Owens spent two years photographing in three suburban communities in Northern California. The photographs show the lives of people in pursuit of The American Dream: home ownership, family life, material possessions, and a sense of self-satisfaction. Ironically, the composite picture of the lifestyle shown is one that is not particularly appealing. 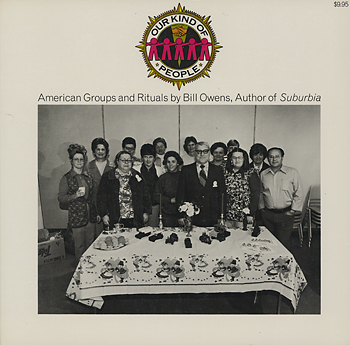 Our Kind of People: American Groups and Rituals, 1975 – “For the past six years my daily routine as a newspaper photographer has brought me into contact with every type of civic, social and fraternal organization in the community. These groups hold meetings at the country club, recreation center or in private homes during which they sponsor luncheons with guest speakers, discuss civic projects and conduct routine business meetings. My presence at these meetings had a purpose: I was taking photographs for the newspaper. When I started working on this book, I would take the required news photo and then continue photographing the group’s activities for the next two or three hours. I also spent evenings and weekends attending meetings, gatherings and musters; over three hundred groups were photographed, some of them two or three times before I got the photo I wanted. After fifteen months I stopped taking pictures and began assembling and editing the captions. 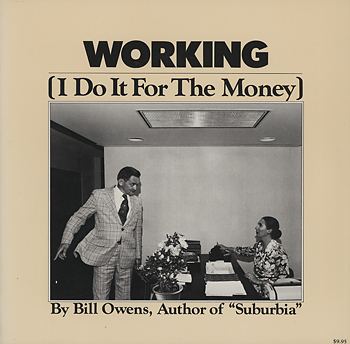 Working, 1977 – Bill Owen’s photographs of everyday people working with humorous, heartbreaking, and insightful qoutes about the experience of working.